Team Bush – November 2018 – Giving Back and Pay It Forward Newsletter. November is one of our most favorite months of the year. The leaves begin to fall, the weather cools, and the holiday season has us preparing for our family to get together. This time of year, we are reminded of how grateful we are for our families, friends and for you being a valuable part of our historic business. As most begin to prepare for the Holiday season, planning get-togethers and the like, it’s easy to become wrapped up in all that we have to do to ensure a fun, joyful time for all we are responsible for and overlook all that we have to be thankful for. Gratitude though is an attitude that is contagious! We are encouraging our team to say thank you MORE than yesterday and count those blessings daily! 1) Do You Know Someone That is Thinking About Selling, Yet is Concerned Because of the Time of the Year? Firstly… Many homeowners are anxious to leave their current home. Actually, loathing selling this time of year as it adds to the frustration of not being settled for the Holidays. You may know someone or a family that fits this description. As a result of working with THOUSANDS of families over a 30+ year time span, we have developed a special program to help Home Owners wanting to make a move and Sell Fast, For Top Dollar and with the Least Hassle! We know there is some risk on our part to make such an incredible guarantee, but we are selling just about every client’s home at the market value price, sometimes even more, so there is no reason for area homeowners, your friends or family, to fret about selling right now. Just pass on our number or give us a call 905-297-4885. 2) AND Secondly… YOUR referrals help the Kidz. and we are getting CLOSE! 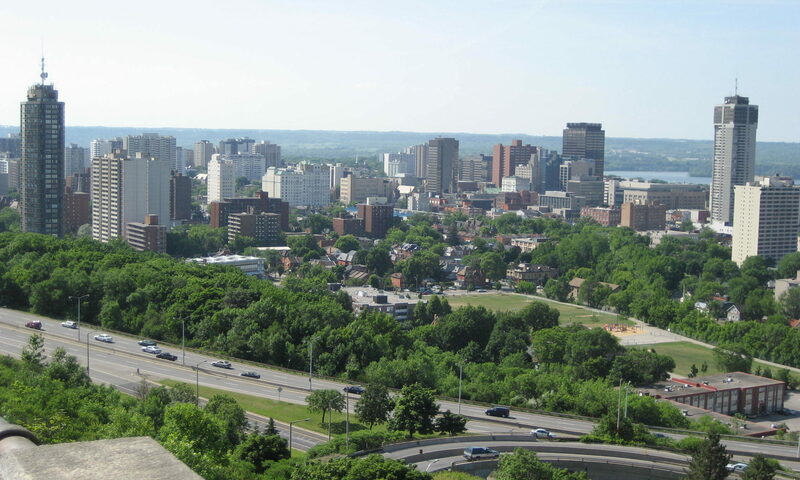 We donate a portion of our income from homes we sell to CityKidz of Hamilton. To refer your friends, neighbors, associates or family members considering making a move, just give us a call or pass on our number to them! Over the last three decades of helping thousands of families sell their home and/or buy another, we have met some wonderful, loving, caring people. People like you! So for those you know that are considering a move, you have our word that we will do our very best in helping them buy or sell the place they call home. We hope this special month of gratitude brings you much joy and happiness. Remember to keep Giving Back and Pay It Forward! Team Bush – Your Home Sold Guaranteed or We’ll Buy It! P.S. Below is a story from a girl named Hope. Her story, and others like hers are WHY it’s important that we keep giving to CityKidz. Check it out. 905-297-4885 or pass our number on to them. Award-winning Service Plus Benefiting a Worthy Cause! You can fill out the enclosed response card with who you know considering a move and mail back to me. You can pass along our business card to them. We have enclosed a couple here for that purpose. You can go to www.HelptheKidz.com and enter their contact info online or forward the link to who you know considering a move. Of course, you can always call our Team directly as well at 905-297-4885. CityKidz is very close to our hearts. Coleen grew up in the Hamilton North End and we want to keep with our motto of “Giving Back and Pay It Forward” and want to give back to our community. We felt that it would be a great opportunity to help out and by investing our time as well as money with the CityKidz organization, we could help families in our community. We are amazed at what CityKidz does for the children in the Hamilton area. The volunteers at CityKidz reach out to over 2000 children every week. These volunteers know them by name, their birthdays and make sure that they get a meal every Saturday and Sunday. Some volunteers will situation is not always a good one so they give these children a chance to grow and thrive to achieve their dreams. They learn that they are important and are instilled with Christian values. Through the input by our Team supporting this organization, we are investing in a different outcome for these children. We know that when children are invested in they start learning that they have someone in their corner and we can break the cycle of poverty.